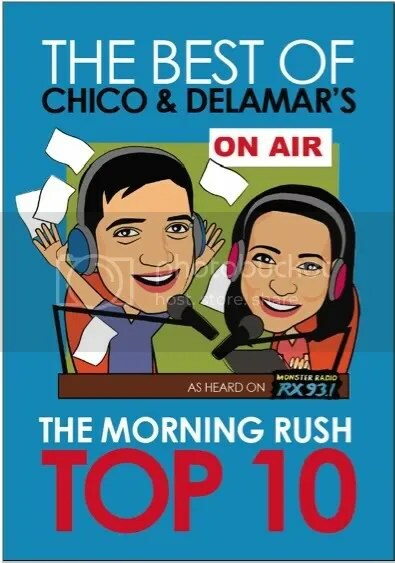 The Best Of Chico And Delamar’s The Morning Rush Top 10 Is #1 For 3rd Month! Wow, we just received INCREDIBLE news! 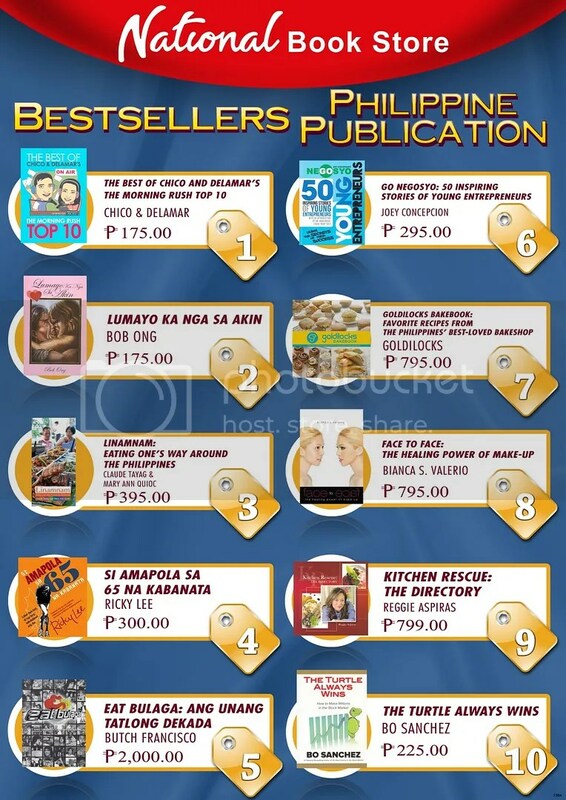 The Top 10 book is still #1 for a 3rd month now in National Bookstore’s Bestsellers List for Philippine Publications! Super GOOD VIBES to hear! Because we’re not really as active in promoting the book as we did at the start of the year, so we weren’t really expecting this. So again, thank you to everyone who bought the book, for propelling it still after almost 5 months in the market. Absolutely awesome. Thank you!!! 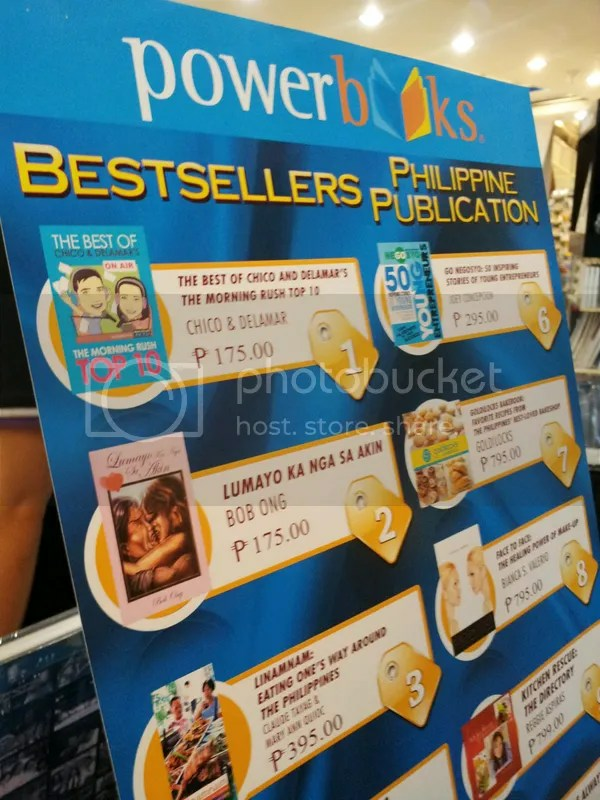 And apparently, it’s also still #1 in Powerbooks as well! Thanks to Coco Hernandez for the photo! The Best Of Chico & Delamar’s The Morning Rush Top 10 Now #1!!! Unbelievable. Incredible. Awesome. Even if the book didn’t hit number one, we already are forever grateful for the opportunity to release this book. But never in our wildest dreams did we imagine that the book would be on the bestsellers list! It was #2 even before we launched it, and now, it’s #1. Again, we’ll never tire of thanking everyone who was part of this success, from our co-authors, the Rushers, to the people part of the making, like RX and Summit, to the people who bought the book. The book signing at National Bookstore at SM Mall of Asia was the final one and it literally ended with a bang (since we stayed on for the fireworks competition after). But it was also bittersweet, to finally end the 5-week book tour, where we met so many of our listeners both near and far, and it was a side to our show that we never got to see before. 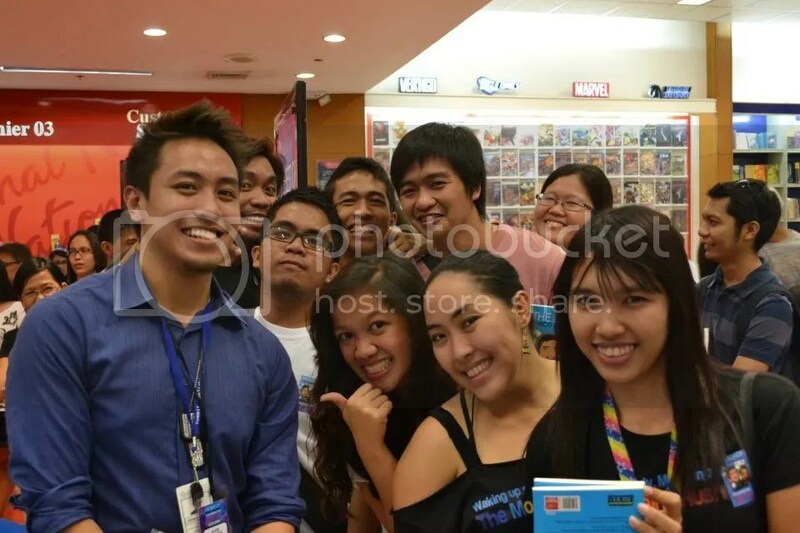 To be perfectly honest, false modesty aside, we just never thought that people would actually stand in line for hours, some as long as 5 hours, just to have us sign their books and take a photo with us. The very idea really surprises us. 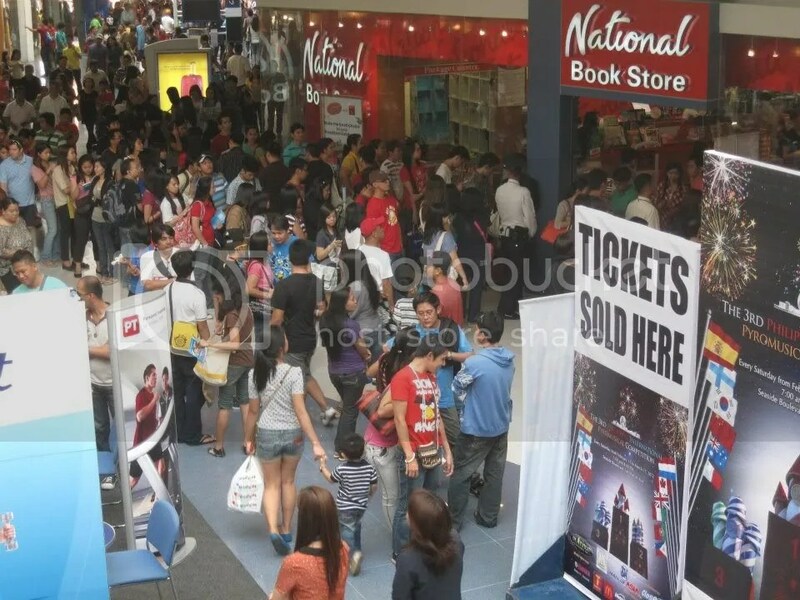 We’re not really celebs in the showbiz sense, so we never thought people would line up week after week for the book signings. Each week, we’re always dreading that people might not show up anymore, but week after week we’re shocked to see so many people still joining us. So again, thank you to everyone who made the book tour possible, starting off with Summit Books, especially the people we see each week like our publisher Koko and Alvin our best friend on the tour, who always made sure we’re fed and caffeinated all throughout. Also the staff of National Bookstore and Powerbooks who always made us feel welcome in their stores, often vacating their desks to give us makeshift holding rooms. Our bodyguards, especially Kuya Maui, who was there from first to last, for making us feel like bonafide celebs, making hawi the crowds whenever applicable. 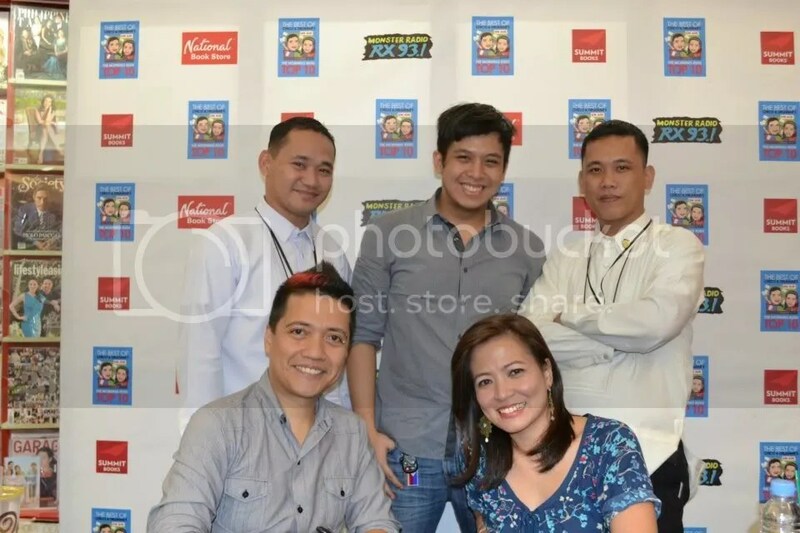 Our co-workers from Monster Radio RX 93.1 for being so supportive of this project, especially our bosses, and the jocks who hosted the different venues like Cerah, Gino, Tom, and Andre. Of course our family and friends (especially Sumi and Baby Whale) who always join us whenever possible, often driving for us, and showing full support. 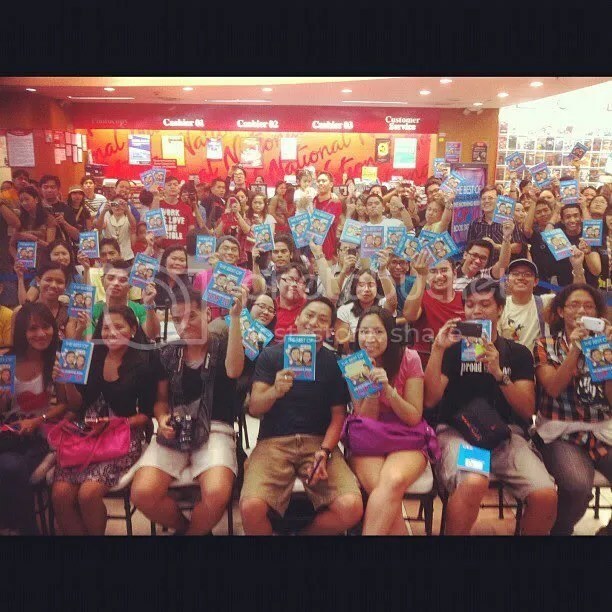 And of course, how can we even dream of not thanking the ever supportive Rushers, who were there for us from the first to the last day of the book signing! They even came up with a t-shirt for the book tour, and would stay at each stop from beginning to the very end. Most of them had their books signed way before the book tour, but they just go there as listeners, as cheerleaders, as energy boosters, as celebs (many get their books signed by the Rushers as well), as party-goers, as Rushers, and as friends. Many ask if it’s an official club and how to join it. Actually, years ago, someone just thought of coining a term for the people who listened to the Morning Rush, and decided to call them Rushers. So technically, anyone who listens to us is a Rusher. Some though have coined sub-categories like silent rusher, active rusher, maingay rusher, and the like. But at each point though the years, there’s always an active core group, who join the Top 10, or who regularly visit the station and our events, who always serve as the backbone of the show. Without them and their support, we’d literally be handicapped creatively and logistically. So to whatever kind of Rusher you may be, we thank you from the bottom of our swollen-with-gratitude hearts. From the silent Rushers who came from so far just to meet us for the first time, to the active Rushers who see us regularly but still set aside time each week to support the event, THANK YOU. Actually, it’s so sweet because on the first Saturday in 5 weeks that we didn’t have a signing, some of the Rushers still met up just to have breakfast. And many tweeted that they felt an odd sense of loss after getting used to meeting up every Saturday. It was so odd for me too. Like we said, not having a weekend for 5 weeks was tiring, but infinitely more rewarding. Just experiencing an outpouring of love and support really does wonders for the self-esteem. So it was actually eerily quiet to wake up on a Saturday with no plans for the day. We ended up going out for dinner with the dogs, but it was still oddly uneventful. I’m pretty sure we’ll get used to life without the book signings, but it was just nice that we enjoyed it while it lasted. It’s also nice that we got to spend it with the people who give us such positive vibes. There was actually talk of additional provincial stops, but I don’t think it pushed through. Who knows, we might have additional signings here and there? But it’s Summit who decides that, so we’ll see. Here’s an article from Summit’s website: see article HERE. 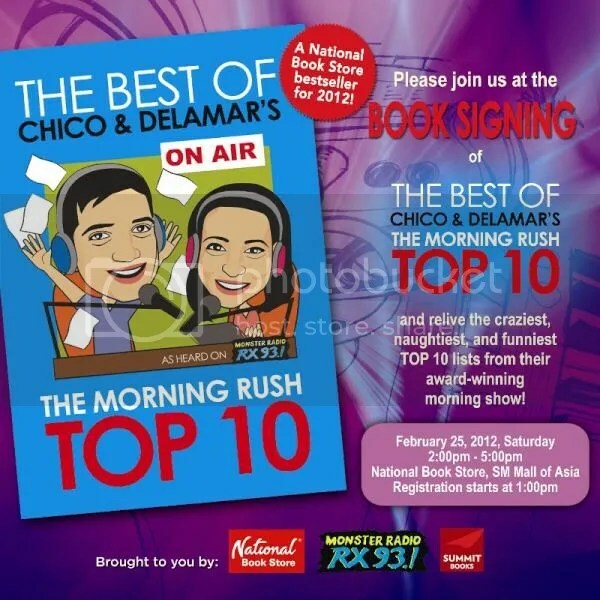 “Just last month, The Best of Chico and Delamar’s The Morning Rush Top 10, a collection of over 100 of the popular RX 93.1 program’s craziest, naughtiest, and funniest Top 10 lists, snagged the second spot on National Book Store’s local bestseller lineup. This month, the compilation earns another coup as Summit Books orders a reprint to meet rising reader clamor nationwide! Summit Books has printed 15,000 more copies of The Best of Chico and Delamar’s The Morning Rush Top 10, in addition to the initial print run of 40,000. This brings the total print run up to 55,000 copies. 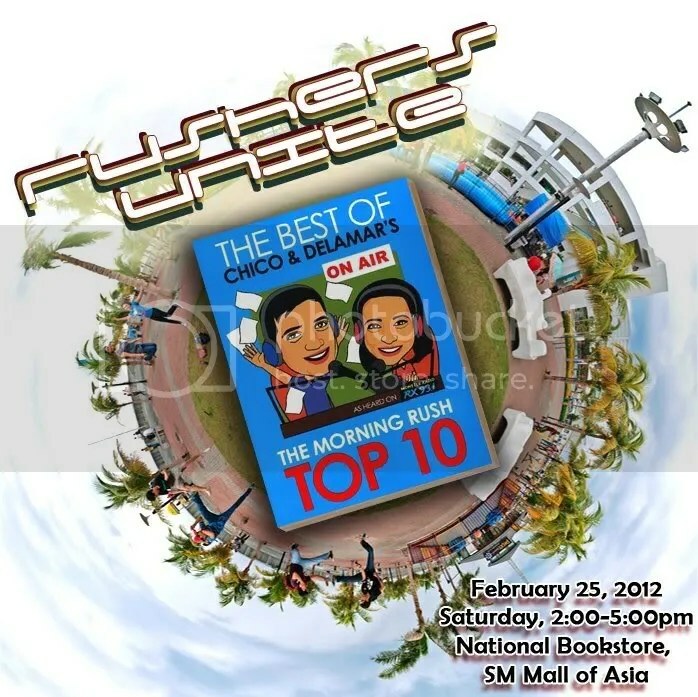 Summit Books released the bestselling compilation in December of last year to coincide with the 15th anniversary of The Morning Rush with Chico & Delamar, one of the longest-running FM radio shows in the country and a Best Comedy Program awardee at the 19th KBP Golden Dove Awards. 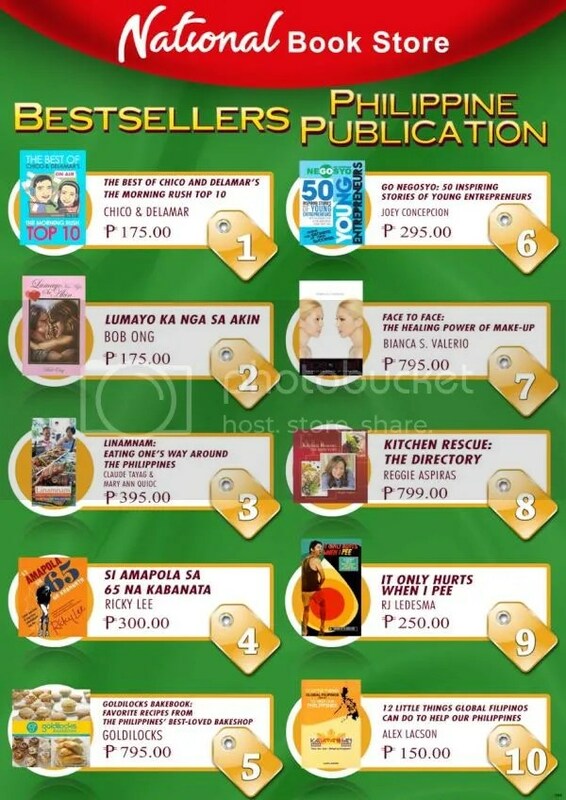 Barely a month after its launch, the compilation rose to number two on both the National Book Store and Powerbooks local book charts. Wow, thank you guys! Hopefully more reprints to come! February 25 Book Signing At NBS SM Mall Of Asia, 2-5pm! This is it, our huling hirit! The FINAL leg in our book tour, so hopefully you guys come and join us for our book signing tomorrow, Saturday, February 25, at NBS MOA, from 2-5pm, with registration starting at 1pm! We promise to stay on for as long as there are people lined up. Don’t get disheartened in case there’s a long line, because we won’t leave until we finish signing your books and taking photos with you guys. In case you missed the past book signings, we hope you make it to this one. Even if you’ve had your book signed, it would be nice just to have you guys join the fun, and it’s a momentous event for us as well. So again, let’s all meet up tomorrow, at National Bookstore SM Mall of Asia, 2-5pm! See you there!